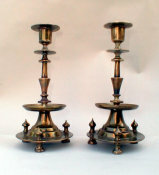 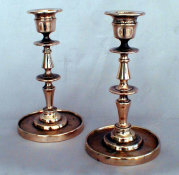 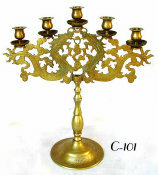 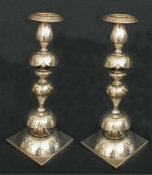 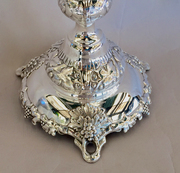 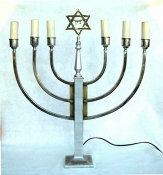 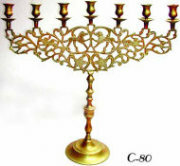 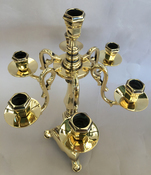 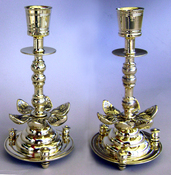 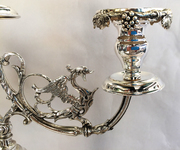 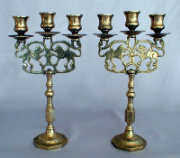 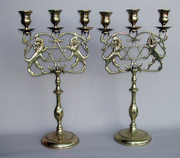 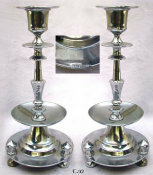 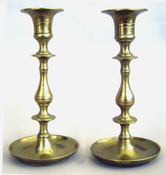 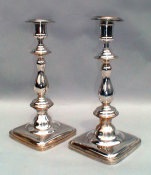 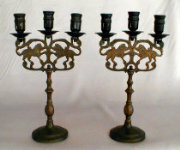 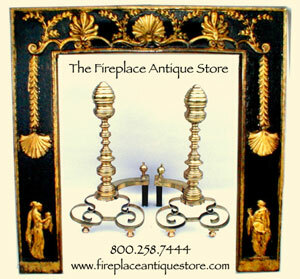 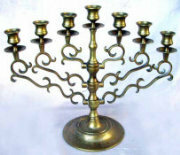 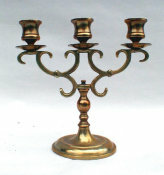 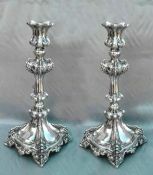 Beautiful early 19th Century Shabbos Candlesticks. 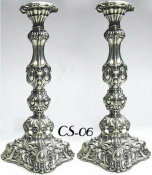 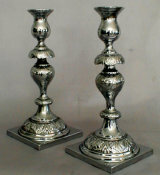 Heavyweight tapered stems support large urn shaped candleholders with broad tops. 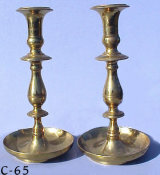 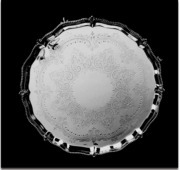 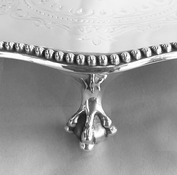 Banded decoration on stem and circular base. 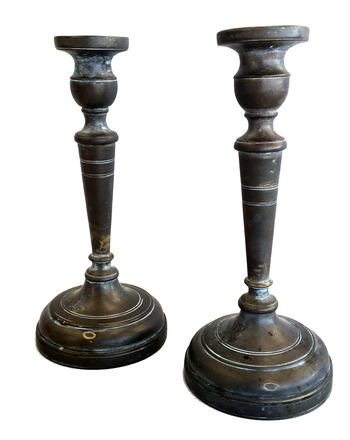 Outstanding dark original patina. 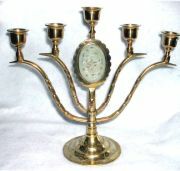 Nearly 200 years old, from Ukraine/Galicia.